Propaganda. It brings to mind sinister ideas of brainwashing and manipulation. 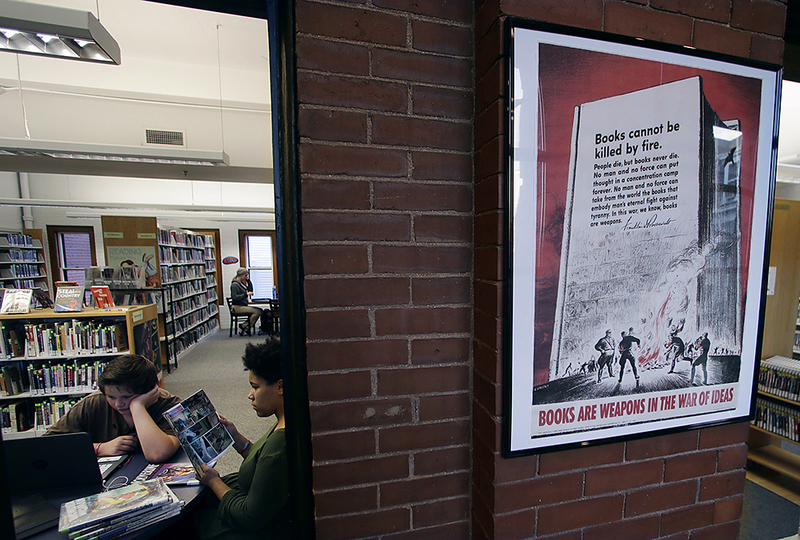 But a trove of war posters discovered at a New Hampshire library show that propaganda can be a valuable communication tool for those on the right side of a serious issue too. 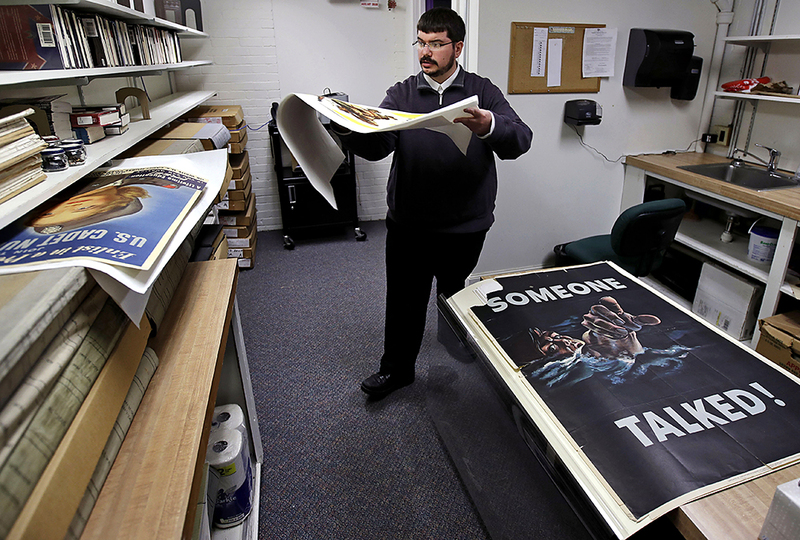 A stash of 190 propaganda posters from World Wars I and II were found last year in the basement of a Rochester, New Hampshire, library. They were fragile but in mostly good condition. 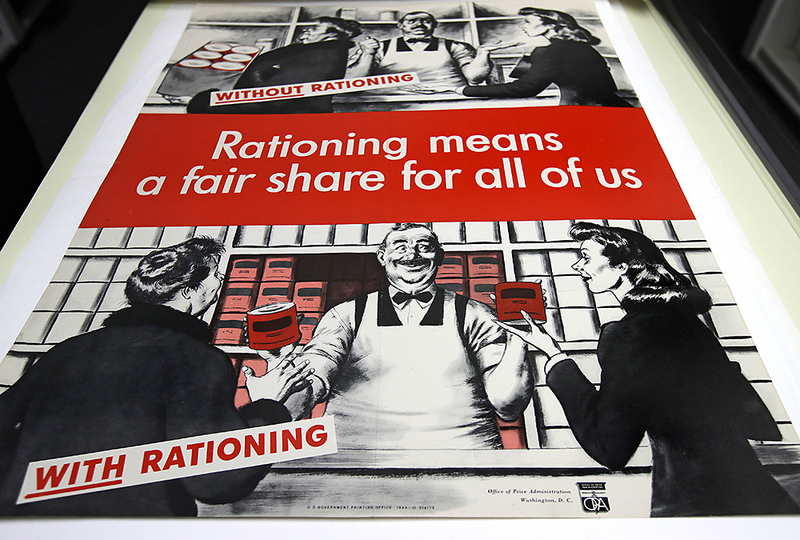 The posters offer a glimpse of life at home in war time. They also show the extent to which the American government went to maintain support for the conflict. 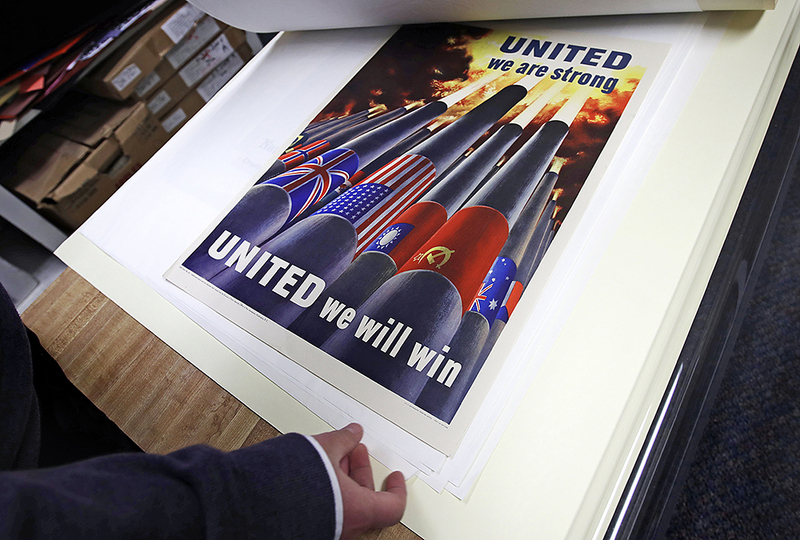 The posters play on patriotism and civic duty—and sometimes fear. “Most of them were about supporting the military,” says library director Brian Sylvester. Patriotism was the main theme. The posters encouraged Americans to sacrifice. Some promote growing victory gardens to provide food, persevering through rationing, recycling, and purchasing war bonds. Others warn of enemies in America’s midst who might share secrets that could kill American soldiers. One got very specific. It shows a Nazi soldier impaling a Bible on a sword. 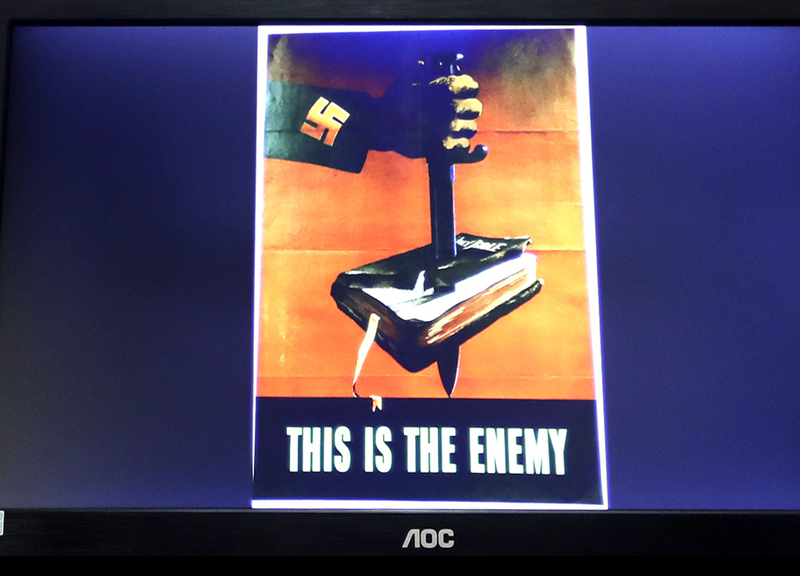 “This Is the Enemy,” the poster declares. Perhaps paper posters displayed in public aren’t common any longer. But persuasive words tied to powerful images still exist. They are generated to sway public opinion and separate views into opposing camps. Today, the viral meme often takes on the role of propaganda—though not always promoted by an official entity. From animal rights to environmental issues to religious and political differences, people still attempt to “divide the world into the people you want to be part of [and] the people who are opposed to you,” says Benjamin Weiss. He is director of collections at Boston’s Museum of Fine Arts. That museum displays an exhibit of 175 propaganda postcards from the 1920s, 30s, and 40s. Sylvester says the library has no current plans to display the posters. Instead, the museum photographed each one and is showing them on a library computer. Consider the purpose of propaganda from yesterday as well as today. Christians do well to know the character of God, to apply His truths, and to sift all human suggestions through Proverbs 16:21: The wise of heart is called discerning, and sweetness of speech increases persuasiveness. A stash of 190 propaganda posters from World Wars I and II thats so cool! I mean wouldn't those be worth millions today? I think there so cool old world war two posters! Cool! I wonder what they will do with them. Why does No One care about The 12th comment? Everyone talks about how great the 25th or 10th comments are, but what about 12? 12 is a great number- there were 12 tribes in Israel, 12 disciples, 12 hours in a day, and my 12th year was one of the best. So yay 12!